Dr. Coburn works in North Kingstown, RI and specializes in Addiction Medicine and Family Medicine. The overall average patient rating of Dr. Michael C Coburn is Good. Dr. Michael C Coburn has been rated by 17 patients. From those 17 patients 6 of those left a comment along with their rating. The overall rating for Dr. Michael C Coburn is 2.9 of 5.0 stars. After my doctor got his licence suspended Dr.. Coburn saved me by taking over my meds that are a necessity. Other doctors did not want to deal with me because I was on suboxone. Dr Coburn closely monitors and test me as he is a vigelent doctor. But he saw I was doing the right thing and decided to help me after looking at past testing and history. After I was pushed away many times I found a doctor that truely understands and I owe him my life for that. Never have I been in a room with a "Doctor" who chuckles, says "I've never heard that one before" when you tell him you're suffering. He is completely void of empathy. You feel like you are the lunatic when you leave his office. When I had gotten sick several years ago Dr Coburn found the problem , when three other Dr's, specialist in their feild failed to diagnose the problem. Dr Coburn went above and beyond to help me. Take a minute to learn about Dr. Michael C Coburn, MD - Addiction Medicine in Warwick, RI, in this video. Dr. Michael C Coburn is similar to the following 4 Doctors near Warwick, RI. 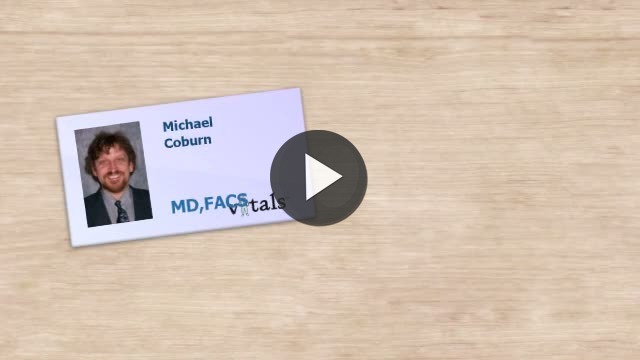 Have you had a recent visit with Dr. Michael C Coburn? Select a star to let us know how it was.